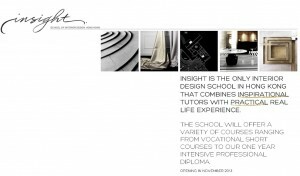 INSIGHT is a brand new school about to launch in Hong Kong, but its no ordinary school…it is Asia’s only specialist Interior Design school, with a very hands-on approach to learning. And yours truly will be one of the lecturers! The concept (and the lady) behind this is so inspiring, and I feel truly honored to be counted amongst these highly talented and extremely qualified lecturers in the founding group. 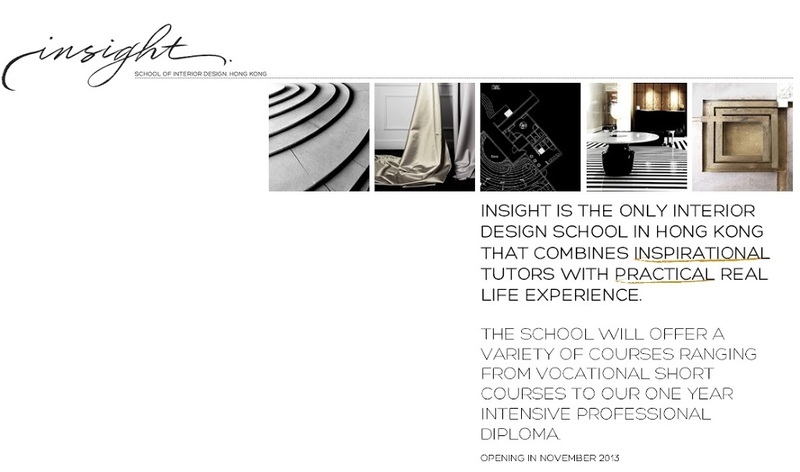 Go check out my profile and some of the amazing short courses that are on offer, starting in November. The first intake of the Diploma course will be late next year. So…if you’ve been interested in changing careers but couldn’t find the right course…or you know someone else who may be interested – head on over to the webiste HERE and check it out.